Earlier in the week I had the opportunity to photograph Lost in Transmission. 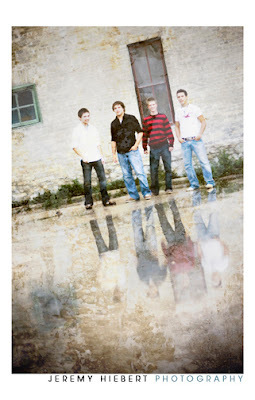 They’re a great bunch of guys – really great to photograph, with an added bonus that my brother–in-law is in the band. We had a bunch of ideas but since it was raining throughout the day we ditched them and headed downtown. 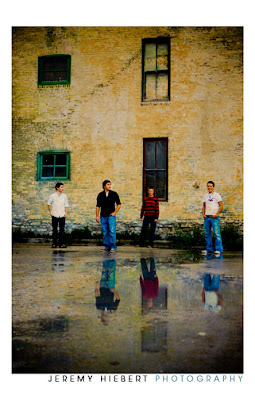 We found some really neat spots and used the rain and puddles to our advantage. They also allowed me some time to set up my remote flashes to do some experimental shots. In a short time we got a ton of images that I know the band will love, and maybe they’ll make the cut for Lost in Transmission’s next disc. 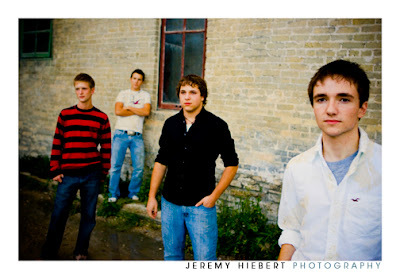 Copyright Jeremy Hiebert Photography 2011|ProPhoto4 Blog by NetRivet, Inc.